The Lone Star has long been a classic Satterwhite floor plan, featuring 4 bedrooms on a single level, and a layout that wraps around a backyard area with ample opportunity to keep an eye on the kids from the kitchen window, dining area, or other vantage points. Four bedrooms make this an great choice for a growing family. Kitchen access is ideal, both for the family inside and for unloading supplies upon return from market. 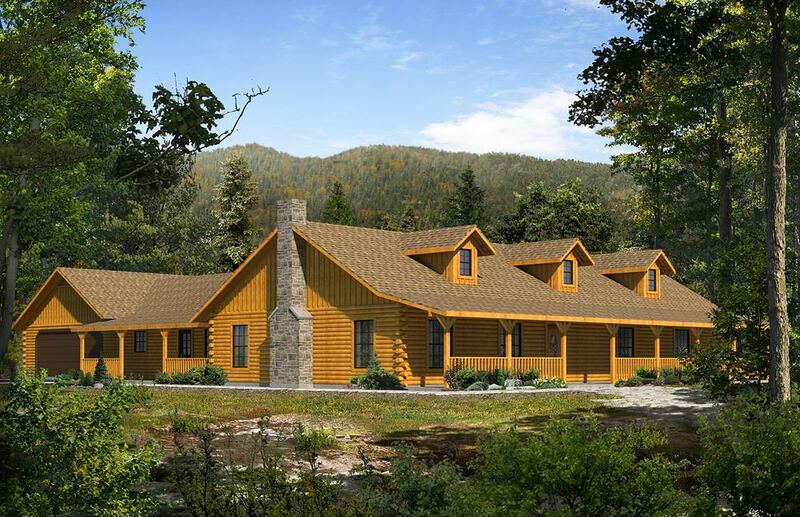 Like all Satterwhite log home designs, customization to your exact needs is routine. While we publish a wide range of plans, almost all plans have adaptations too numerous to itemize. One of the most popular modofications for the Lone Star is the addition of a loft inside the roof structure above the bedroom wing of the house. Whatever your needs, we're here to help.